Hello, I’m Mika. I’m Anna’s (The FFF’s) son. It’s been a bloody long time since I last did a Fermented Feuilleton, in fact, this is the first one in 2016. Today I am going to be talking about Fermented Food in pop culture. First I will talk about where it appears, and then I will talk about where it could and should appear but it doesn’t. Fermented Food has a good few appearances in pop culture. First of all, it appears in the infamous game of Minecraft. Minecraft (in case you don’t know, for some weird reason) is a freaking awesome sandbox game where the player is challenged to get himself food, go mining, build a shelter and eventually battle the 3 current bosses. In this game you also have the ability to craft. 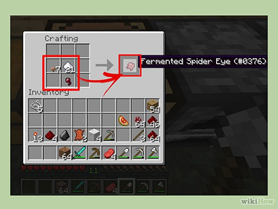 You can craft many various things including a fermented spider eye. All you need is a spider eye, a bit of sugar and a mushroom. Unlike in real life, the process of fermentation only takes a split second. Another game that Fermented Food had a lovely appearance in, is a not very well-known MMO game developed by InnoGames called The West. 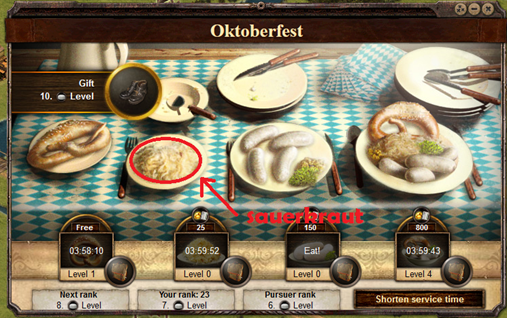 In the Autumn of 2015, they had an event in the game to celebrate the Oktoberfest. You had to collect pretzels which you could then either eat or exchange for other traditional German foods including Wursts and… that’s right… you guessed it… sauerkraut! Only that for some reason it was called German Pickled Cabbage. That sure pissed a few people off. Now I bet you anything that at least some of you know Rhett and Link (or, at least, have heard of them). They are two men on YouTube with over 9 ½ million subscribers. 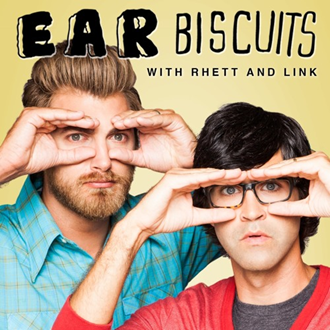 They also have a podcast which is called The Ear Biscuit. In each episode, they have a fellow YouTuber as a guest and they ask him/her a whole bunch of questions. One of their guests was Miranda. For the season 2 finale of the podcast, they allowed each of their guest to ask them a question that they would answer. Miranda’s question was What’s your favourite juice? Rhett answered that his favourite juice is kombucha. He said that they have a fridge in their office which is full of kombucha. Of course, you all know that kombucha isn’t a juice, but fermented tea. Rhett said that It is part of the juice family. Why don’t you visit my mum’s blog, Rhett? You could probably learn a lot from it. And last but not least… The Agents of S.H.I.E.L.D!!! The TV show that everybody is watching (or at least I am). Fans of the series may recall of that season 3 episode where (*SPOILER ALERT*) Agent Melinda May and Barbara Morse found Von Strucker’s son (if you don’t know who Von Strucker is, just go watch Age of Ultron again) who was given by Grant Ward the job of assassinating Andrew Garner (Melinda May’s ex-husband and S.H.I.E.L.D’s psychologist). Von Strucker’s son told the 2 agents that he saw Andrew turn into Lash (big monster who S.H.I.E.L.D is after). 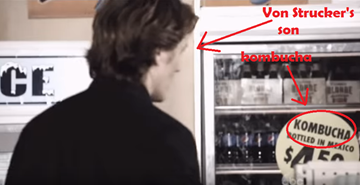 Then we got a nice flashback scene and we could Von Strucker’s son standing right in front of a refrigerator with kombucha in it. The kombucha was really darn expensive, though. $4.50 for a bottle. 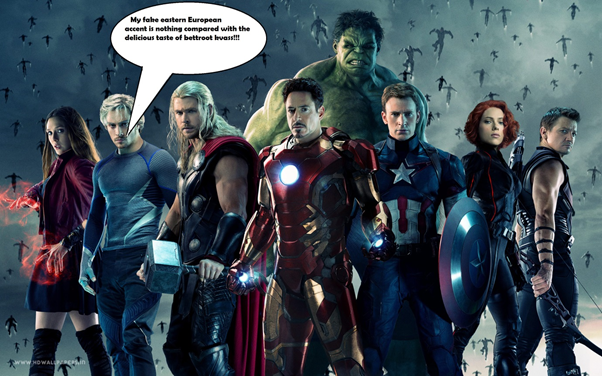 You may remember a really awesome movie that came out last year called Avengers: Age of Ultron. Now, some of the movie was located in the fictional eastern European country of Sokovia. Not only was there no Fermented Food, but didn’t show any traditional foods at all. Now I’m not saying that Quicksilver and Scarlet Witch should have been munching on some Fermented Food every 2 minutes, but maybe a slight inclusion would encourage people like my mum to actually take the time to watch this spectacular film. Now, unless you lived in a cave for the past 50 years, you definitely heard of Star Wars. It’s a sci-fi saga currently made up 7 awesome movies. What does this have to do with Fermented Food? Well, think about it. If you are travelling around space in the Millenium Falcon and you have limited space, what could you keep in those helpful hidey-holes designed for smuggling? Jars of Fermented Food, of course! It will keep you full and keep you healthy. The only problem might be the smell… Also, can you believe that my mum still hasn’t seen The Force Awakens!?!? I hope that you enjoyed reading this Fermented Feuilleton. Also, I was inspired by the FFF and now I have my own blog which is all about science fiction. You can check it out by clicking here or you can check out my Facebook by clicking here.